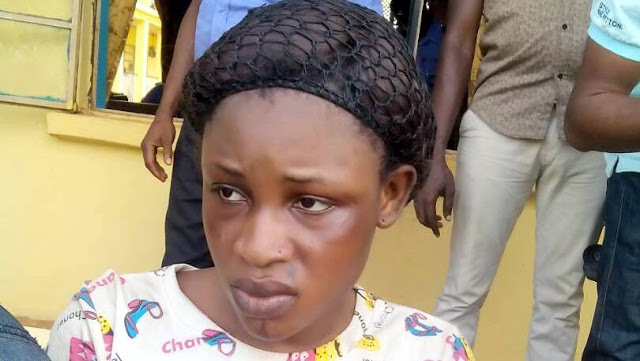 A woman identified as Bose Christopher, has been arrested by Ogun state police on Wednesday, alongside a man she called her boyfriend at a cult initiation 24 hours to her proposed marriage “introduction” ceremony. The Commissioner of Police, Ahmed Ilyasu paraded Bose alongside 30 other suspected members of the cult group. The suspects were arrested by officers of the Federal Special Anti-Robbery Squad (FSARS), during their suspected initiation ritual in a hotel. According to Premium Times, she said, she wasn’t a member of the cult group, adding that she didn’t know her boyfriend was a cultist. “It is true, I went with my boyfriend to the party and it is also true that my wedding introduction was scheduled to hold the following day I went to the ceremony with my boyfriend. I met him (boyfriend) about two weeks ago and I never knew he is a cult member. He just called me after I closed from the shop to join him at the party,” she said‎. Bose said her intended husband cut off contact with her after hearing of her arrest.